The campus's character, physical beauty and location near a historic city with a diverse cultural life and commitment to preserving the environment all provide the setting for an academic community known internationally for its excellence and innovation. A member of the Association of American Universities, this vibrant, energetic campus ranks with Harvard, Stanford and UC Berkeley among the leading institutions of higher learning in the U.S. and Canada. Students know it as a friendly, welcoming place where their professors take the time to help them learn. The quality of faculty members testifies to the strength of UCSB's academic programs and the quantity and quality of its research. UC Santa Barbara ranks among higher-education leaders in the United States and Canada as one of only 63 research-intensive institutions elected to membership in the prestigious Association of American Universities. External support for research, which is considered the lifeblood of a premier research university, totaled $175 million in fiscal 2009. Federal agencies provided $150 million of the total, $12 million more than the preceding year. 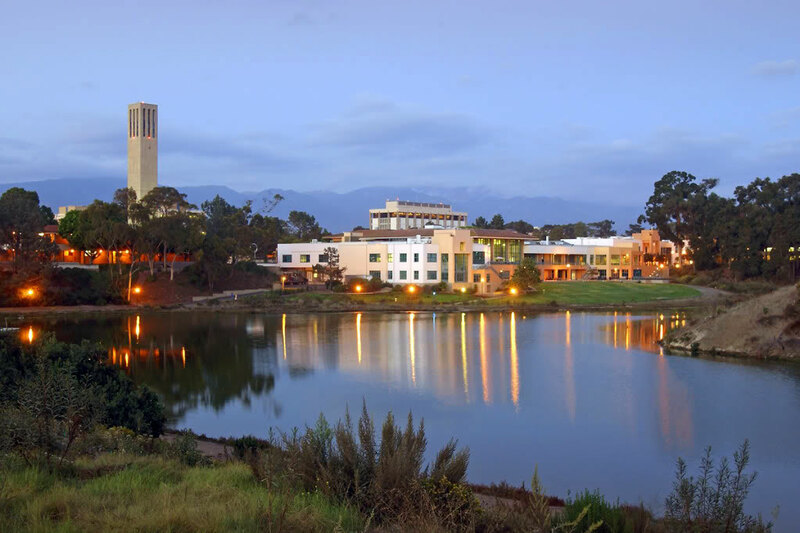 The campus's Office of Technology and Industry Alliances reports that four to seven new companies based on UCSB research are formed every year. In addition, 66 companies on four continents (30 in California) are currently using technologies developed at UC Santa Barbara.